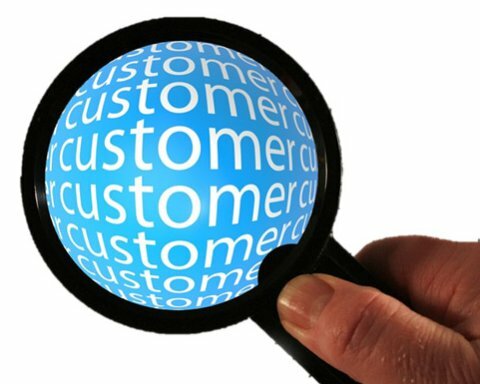 Did you know that many business owners overlook getting to know their customers? Ask any business owner who their ideal client is and you will usually get an answer like "Everyone." While that answer may be true, the better answer is more specific. Defining your five Ws, using the conversation style of the social media platforms, ensures success. Here is where you need to dig deep and remember to think conversation. What are you serving them: education, brand awareness? When and where might you find these ideal clients? Conversation is the cornerstone of any great social media strategy. Each platform has its own conversation style. Facebook is casual, like a backyard bar-b-que. Twitter is like a cocktail party where you move around the room quickly. LinkedIn is like the corporate water cooler – everything should go deeper than it does on any other platform. In the US alone, Google processes over 100 Billion search queries per month. That's an average of 40,000 search queries per second. How does your content stand out and, more importantly, move? Keep in mind that content is only valuable if it moves, when it's shared. A persona is a made-up character that symbolizes your ideal client. The persona answers what pain does your product or service solve? Why do they want to read and share your content? What do your prospects need to know? In the past, personas were associated with bigger companies and advertising agencies. As a business owner, you should create personas for your ideal clients. Then, every conversation in your social strategy speaks directly to your prospects. This creates the conversations your prospects want to share & engage with. You should understand your customer's pain points. How does your solution fit into their needs? Look for content you already have to see if you can repurpose. How do you repurpose? It's easy. Do you have a blog post that has gotten a lot of shares and comments? Create a video or Facebook Live video and post it. Dig deeper and talk about the takeaways in that blog post and direct visitors/viewers back to it. Create quality content your customers will share and talk about online and offline. What is the best success? Customers who visit or make contact and they mention your Facebook page and the posts. That's the kind of success I want you to have, and doing the following will help you get there. Define your solution. What sets your solution apart from your competitors? Know your customer. Tie their pain points into the solutions you provide. Create and ignite your content. Use keyword research tools and search bars on Google, Amazon and Facebook. Find what people are talking about in your industry and in your city or town. Once you get to know your customers and their pain points, and know how your products and services can help solve their problems, you are on your way to success!